The fundamental desire of all life is to be absolutely connected with all life . . . anything less than this connection will be experienced as some form of pain -- physical, emotional, mental, or existential pain. Life seeks to avoid such pain in any way it can. Connecting to avoid the pain of separation is the basis of romance . . . connecting and correcting the pain of separation. 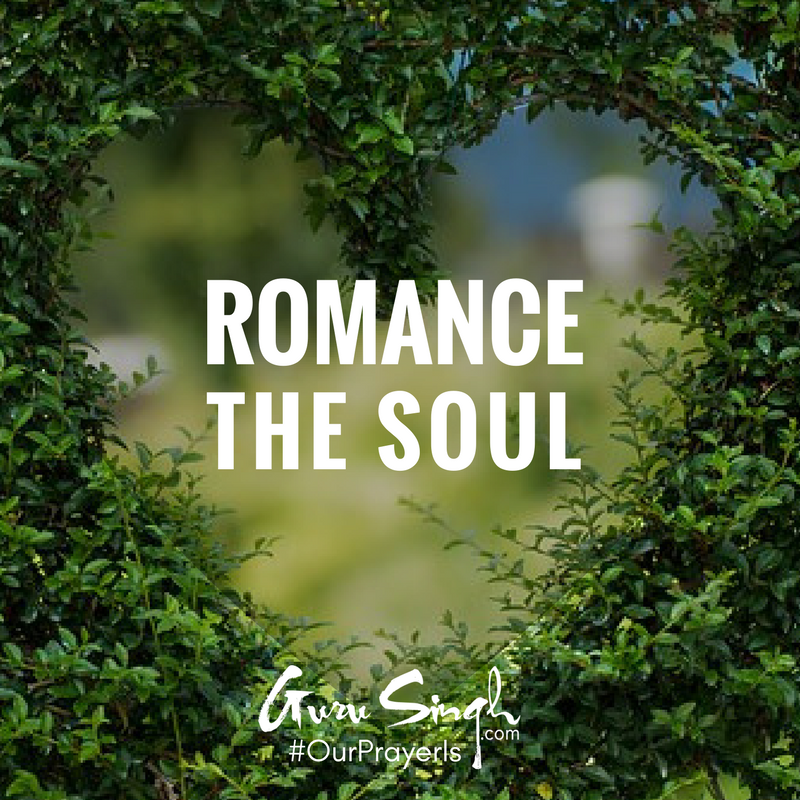 The ultimate connection -- the ultimate romance -- is romancing the soul . . . connecting to that which connects everything. With this connection there’s no separation anywhere in your life, anywhere in the world . . . anywhere in the universe. You experience absolute union -- the meaning of the word ‘yoga’. One of the ways this ‘yoga’ has been practiced over the millennia is to connect with the magnificence in everything. Known as Raj Yoga (royal union), it uses rhythms and mantras -- aloud or silent -- combined into what’s called ‘Naad’ . . . a constant mantra in the mind. It delivers a sensation of vastness -- of ‘headroom’ to each moment -- the sensation of being completely free. With this freedom there are no blockages; you have the probability of every possibility; ideas and solutions for each moment are inside of each moment . . . you’re virtually “unstoppable.” Of course, with this incredible freedom, you must now deal with the ‘equal and opposite’ -- it’s the law of nature. The equal and opposite of total freedom is the daunting sensation that you have no right, you have no authority to be so free. This is life’s natural reaction; the only way around this is for you to be ‘self-authorized’ -- give yourself the authority -- no one can do this for you. It’s called Raj Yoga for a reason -- the universal authority of royalty. Our prayer is that you connect with your life each day; give yourself the authority to have massively creative freedom; use this freedom to design the world you want to live in, and live in this world with everyone you know . . . with love, with joy and inspiration, be benevolently royal. Sign up with your email address to receive our morning prayer. Leave your email address to receive all newsletters and offerings.